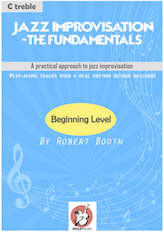 A very “straight to the point” method for jazz improvising. For the musician looking to unlock the mystery of jazz soloing, this book will give you an important foundation, and have you comfortably improvising over some essential chord changes in a short space of time. 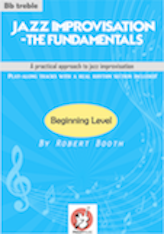 An enjoyable method that allows you to play along with backing tracks of real musicians from the first exercise to the last! 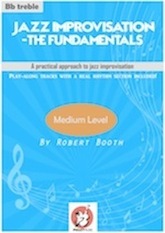 Categories: Jazz Improvisation Books, Jazz Improvisation Books.